What is PAT testing? We discuss the key elements. So, what is PAT testing? A question we hear regularly. 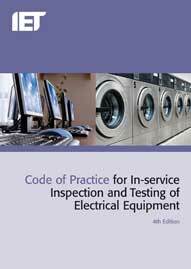 Portable Appliance Testing or PAT testing is known as in-service inspection and testing mentioned in the Code of practice 4th edition, carried out on a regular basis to ensure that every appliance is safe to use on a continuous basis in the work place. Most new items that are bought from a manufacturer and under 12 months old, do not need to be tested as the manufacturer has already put the appliance through this process already. This is the starting block of the in-service inspection and testing, this involves a visual inspection. As PAT Testing engineers we have to follow a certain procedure and this has to be complied with at all times, this is usually assessed by NICEIC, ECA or NAPIT qualified examiners. Can the appliance be disconnected from the supply? If you can’t disconnect, testing can not be completed. Items have to be recorded that they have not been tested. The appliance must be inspected thoroughly for any signs of damage. Assess whether the appliance is suitable for the environment. The cable should be inspected fully. The plug should be wired correctly. There are some occasions where the wires are reversed. This must be corrected immediately. Depending on the appliance the correct rated fuse must be fitted to the appliance. This Earth Continuity Test measures the current between exposed parts of the class 1 item to the Portable Appliance Testing Machine. The results are then recorded. Insulation Resistance testing is performed by applying a nominal voltage to the live conductors (active and neutral) of an appliance via the Testing machine. The results are then recorded. Basically checks the appliance is working safely and properly. The results are then recorded. If the appliance has failed the test, this should be removed from service, labelled and reported to the supervisor as soon as possible. All results have to be recorded. What is PAT testing? The important answer. We’ve covered the technical aspects of PAT testing above, but if anyone needs to know the answer, chances are they may not be aware of their legal obligations to have equipment checked regularly. PAT testing is not just a box ticking exercise, it is a vital component of keeping you, your staff and your customers safe from electrical perils 24/7. Please make it a priority. For further information or a quote, please contact us now. 250 Rio offer PAT testing Manchester, Altrincham, Stockport, Cheshire and across the North West.